'When they are together, somebody is always chasing or jumping on someone else, but when they are apart, they're always calling for each other. 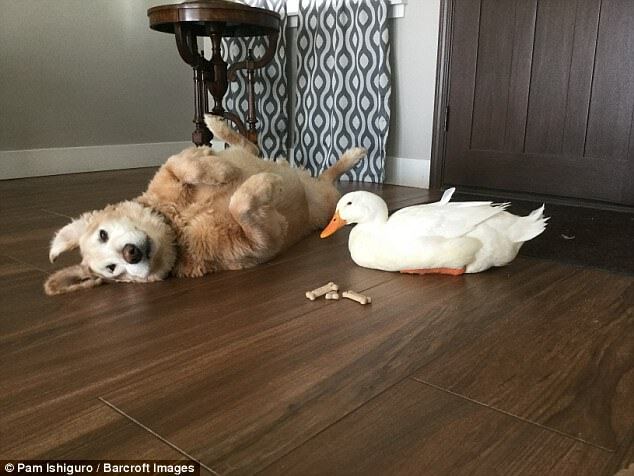 They may be an unusual match but this dog and duck are the best of friends. 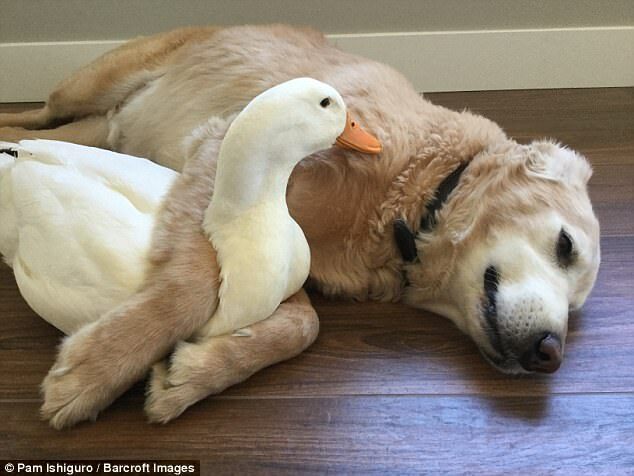 Four-year-old Pekin Andy and golden retriever Barclay are inseparable despite their love/hate relationship. 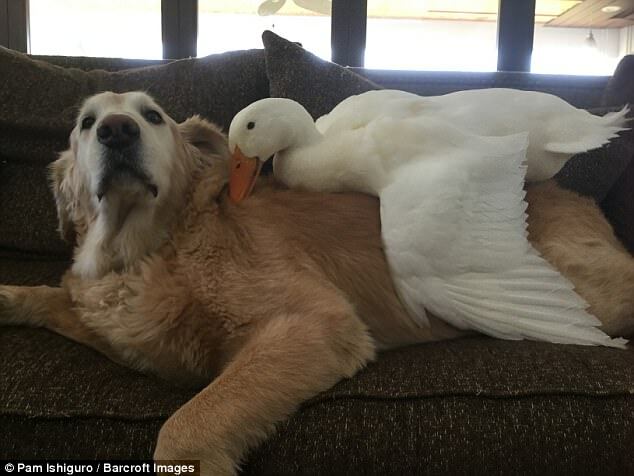 Proud owner Pam Ishiguro, from Orange County, California, says the animals always call for each other whenever they are apart. 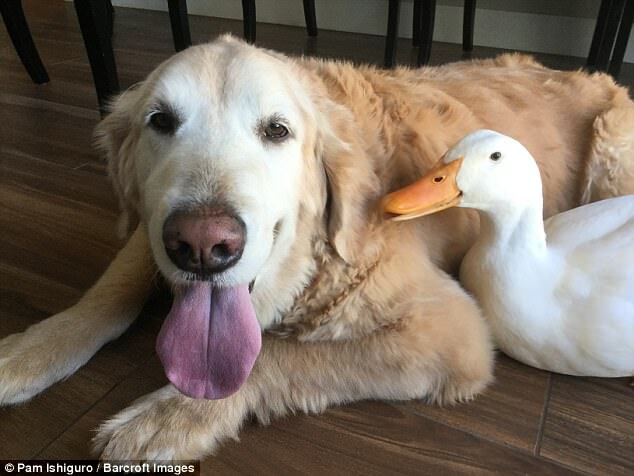 'Barclay loves to eat duck chow - actually he just likes to eat and knows there's always food in the coop, so whenever he gets a chance, he'll sneak into the coop and eat their food. 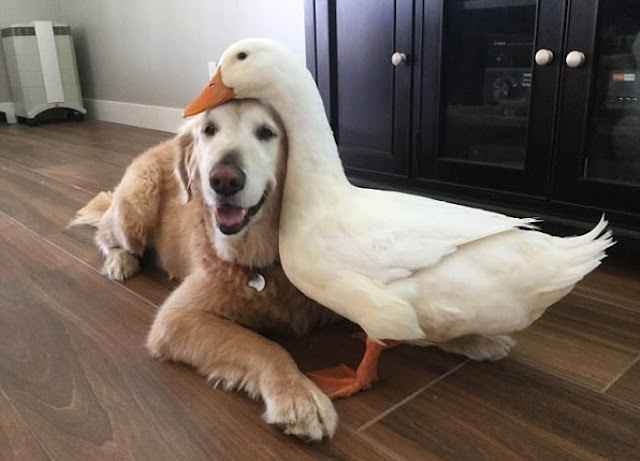 But the dog and duck pairing was not always so friendly. 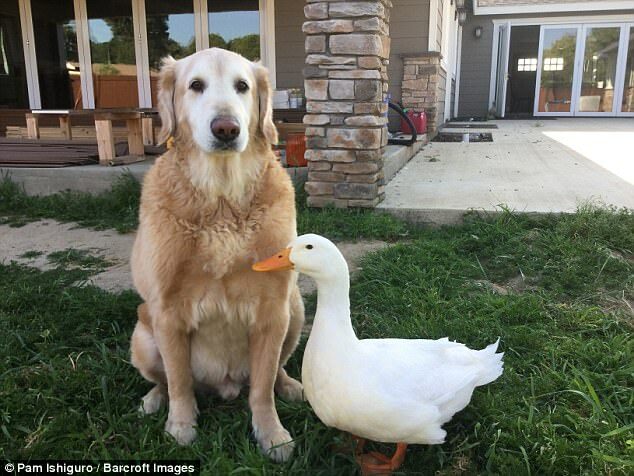 At first Rudy enjoyed chasing Barclay away whenever he tried to approach any of the ducks in the group. Miss Ishiguro explained: 'Rudy is our alpha duck. He is in charge of everyone and everything. 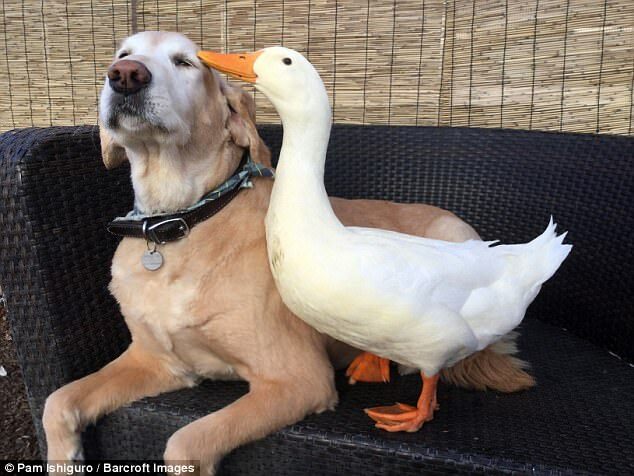 When Barclay tries to sniff any of the other ducks, Rudy is there to stop it. 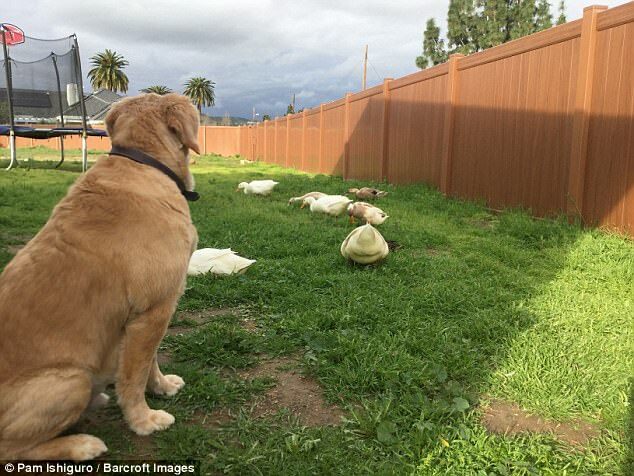 Rudy used to chase Barclay away, and for a long while, Barclay would run away. 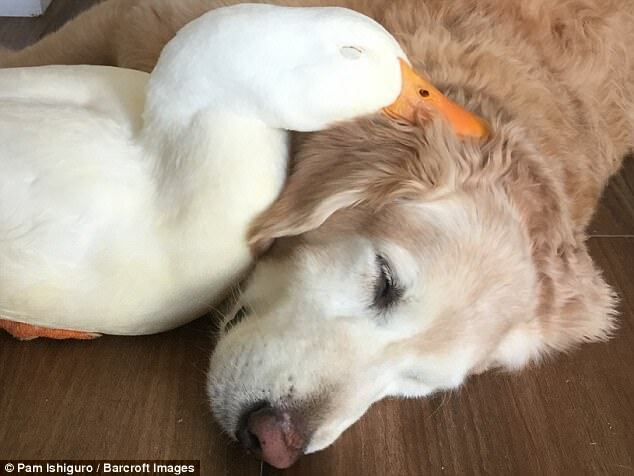 Responses to "Inseparable dog and duck prove friends don't have to be birds of a feather "